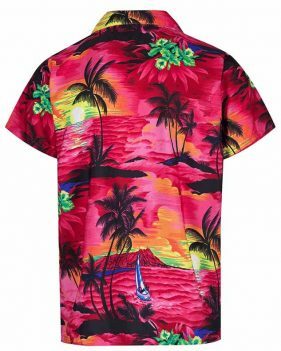 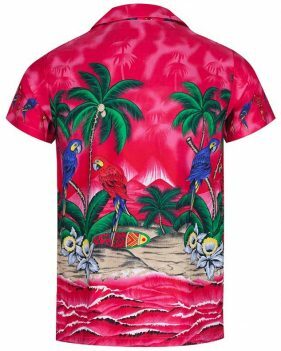 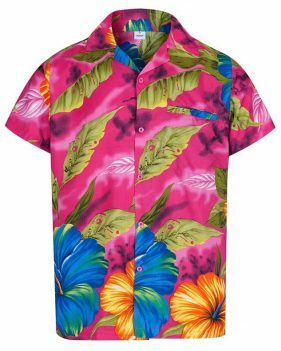 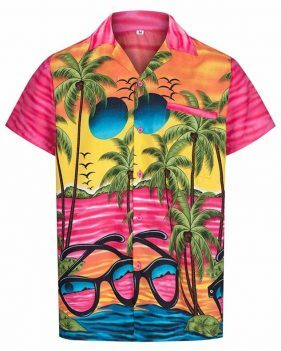 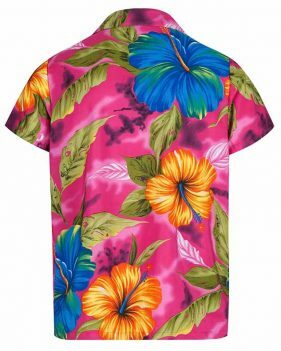 No modern man’s wardrobe is complete without a splash of the colour pink, and now you can become the ultimate metrosexual man in one of our pink Hawaiian shirts. 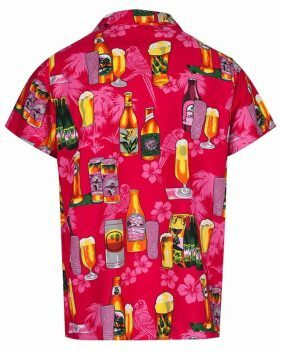 Brighten up your day and stay cooler than a pina colada served in a coconut with our dashing pink range. 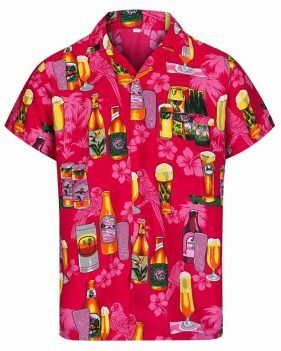 Whatever the occasion, whether it’s sipping cocktails on the deck of your own private yacht, or channelling a little island spirit in your basement flat in Dorking, a pink Hawaiian shirt is sure to brighten up your day. 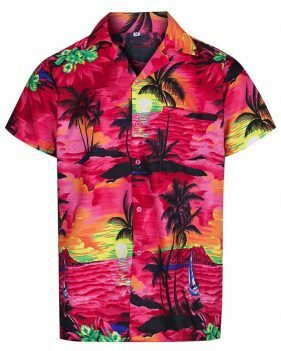 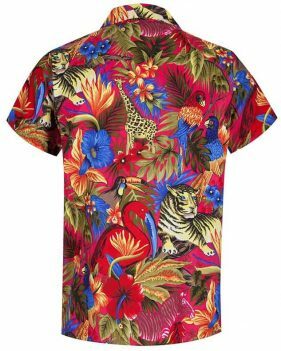 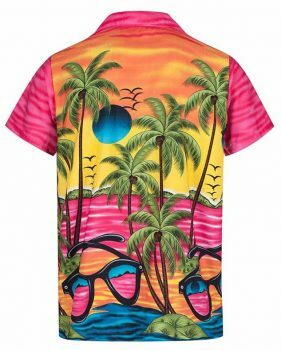 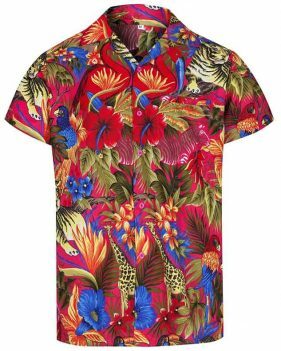 With everything from classic Hawaiian prints complete with beachscapes and palm trees, to slightly wilder prints with tigers and toucans, we stock the pink Hawaiian shirts of your dreams. 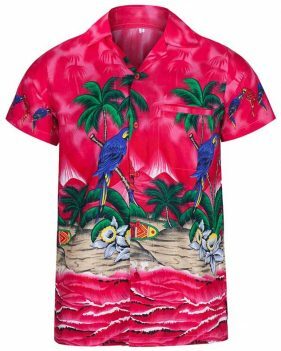 You can tuck your pink Hawaiian shirt into slim fitting chinos, or wear with a simple pair of shorts and a fedora to look effortlessly cool in the sun.